The American Pet Products Association reported that in 2016, people in the United States spent $66.75 billion on their pets. Michelle Winowich, Founder and CEO of G.O.A.T Pet Products, worked in the pet industry, but had always wanted to venture out on her own. Having lived with pets all her life, Michelle knew that most pet parents are looking for new and innovative ways to enjoy the lighter, fun side of living with their dog, cat, or bird. Michelle wanted to create a business that would provide high quality products for pets and in a reversal of the usual process, the business name came before the products. When she overheard her 12-year-old son calling one of his football teammates a “goat,” she was horrified and ready to admonish him. But when he explained that “GOAT” is considered a compliment–it stands for Greatest of All Time—she realized that would make a great name for her business. G.O.A.T. 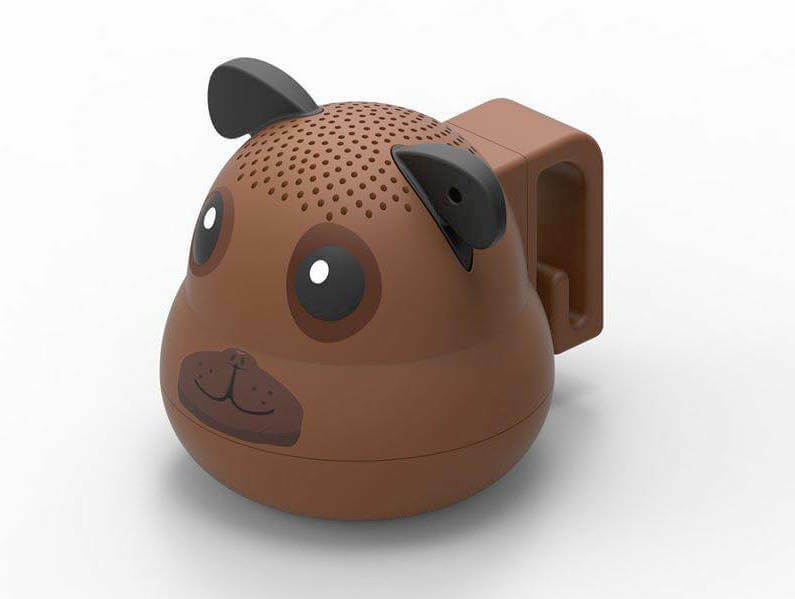 Pet Products created the Pet Speaker, which is shaped like a dog, cat, or bird, and works through Bluetooth. For anxious pets, music can be downloaded to provide a soothing atmosphere. It can also be used during daily walks to entertain both pet and human, and has the capacity to take selfies! If your dog or cat has a busy social life, their play dates, vet appointments and trips to the beauty parlor can be entered in a dedicated schedule on the app. The Pet Speaker can be clipped to a dog collar or leash, placed on the outside of a bird’s cage or clipped to a person’s belt. PetSmart took notice and in October, 2017, began to sell the Speaker in its 1,500 stores in U.S. and Canada. On December 13, 2017, Michelle appeared on a Pet Radio Podcast, and on December 17, 2017, PetSmart named the G.O.A.T. Pet Speaker the season’s top pet gift. G.O.A.T. Pet Products also sells dog treats made from all natural and healthy ingredients (Garbanzo Bean Flour, Goat Milk, Peanut Butter, Baking Powder and Molasses). These treats are manufactured at the Eisenhower Center, a non-profit that employs people with disabilities. The dog and cat speakers are very affordable, with a 30% discount for military and police officers.